According to the Association for Safe International Road Travel, over 37, 000 people die every year from car crashes in the US alone. Keep in mind, that this number doesn't include those who suffered terrible injuries or were disabled because of the accident. The saddest thing to think about, however, is that in many occasions, those crashes could have been avoided. To help you stay safe on the road, in this post, you'll find a few ways in which you can stay clear of some of the most common reasons for car wrecks. Our brains can't focus on a sole task 100% of the time, which is why, if you've been driving for awhile, you may feel that your mind starts to wander. You may start texting someone, browsing through your song selection, focusing on your children fighting in the backseat, etc. Whatever the reason may be, being distracted can lead to car wrecks. A split second may change the whole panorama in front of you, and you need to be on high alert to react to it appropriately. Pay attention to the road at all times. Traffic signs aren't made up at random. For example, the speed limit on a road is determined by the condition the road is in, the amount of traffic it gets, the area it is in, among other variables. This means that traffics signs are well-thought out so you can have a pleasant and safe driving experience. Still, many choose to pretend the rules don't exist: they speed, run red lights, ignore "Stop" signs, and more. If you want to be a more conscientious driver, learn the rules and follow them so you can reach your destinations without much trouble. Driving is a risky activity on its own without adding dire weather conditions to the mix. Still, we can't control those circumstances, but we can adapt to them. If it's raining, it's windy, it's snowing, or other, take that information into account and react accordingly to it. For example, if it's raining, the road will be slippery, and your vision will be compromised. For that reason, you should keep a greater distance between you and the objects around you, you should lower your speed, and you should use your vehicle's safety features to your advantage so you can stay safe. Believe it or not, there's the possibility that you'll get into a car wreck because of a technical difficulty. That's why maintaining your vehicle properly can be a great strategy to remain safe on the road. After all, you surely wouldn't want to be riding in the middle of a highway only to discover that your brakes aren't responding as usual. Taking your vehicle to a mechanic for routine inspections can help you know the condition your vehicle is in. An expert can also fix any details they find, so you can continue driving your vehicle for a long time. An important maintenance task you should be mindful of is the synthetic oil change, as it keeps your engine protected and lubricated. If your vehicle is in need of new oil, call Superior Synthetics LLC in Clintonville at (715) 823-6525. Their AMSOIL products, including the best synthetic oil in Clintonville, can guarantee a top working vehicle. There are far too many accidents that take place because the driver was high or drunk; a completely avoidable situation. Drinking or using drug affects your understanding of the world around you and your reaction to it. For that reason, if one day you decide to drink or use substances, you should consider these 3 options so you can stay safe: 1) wait it out until you're sober; 2) ask a sober friend to drive you; 3) take a cab or another form of public transportation. Whatever the option you choose is, do not risk your life and that of those around you if you're under the influence! 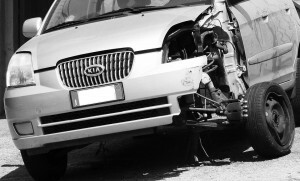 Car wrecks can also happen because of tired drivers that fall asleep behind the wheel, wreaking havoc around them as they cruise down the road inadvertently. Being too tired can also affect your control of the car and your response to outside stimuli. If you ever find yourself falling asleep as you drive, stop to rest and recharge for a bit, or ask one of your passengers to take the wheel (if possible). Do not depend on caffeine or sugar if you're feeling tired, as they may only give you a momentary burst of energy, followed by a big crash. Remember that Superior Synthetics LLC in Clintonville has AMSOIL products that can save you time and money on your vehicle's maintenance. For more information on the benefits they can provide, call (715) 823-6525. You can also look through their online store if you're need of the best synthetic oil in Clintonville for your vehicle's synthetic oil change.